Key to retiring early is having multiple streams of passive income. Begin the process of instilling seeds to start the process of generating passive income as soon as possible, as the earlier you start the better and sooner you can have the flexibility to retire early. Always think of variety of vehicles to achieve this – the approach to passive income must be a diversified one to ensure long term success and to mitigate any portfolio risks. 1. Real Estate – I really like the rental property approach as the investment is tangible and can generate not only cash flow but appreciation as well. No need to have a large portfolio – start with a single rental and continue to add to your portfolio with the proper financial analysis to ensure the rentals are cash flow positive and are in locations with opportunity of appreciation. Five rental properties with $400 per month in cash flow can yield you $2,000 per month ($24,000 annual) – sufficient to cover your mortgage and monthly expenses, depending on your lifestyle. 2.Stocks with dividends – Buy stocks with a reasonable dividend yield ie. 4%. Dividend stocks are really great and similar to real estate as you they can appreciate (or depreciate) in value as well as pay stock dividends that you can either reinvest or receive as cash. 3. Invest in a business – This can be as simple as freelancing – number of websites online where one can sign up and offer services as a freelancer or simply do it organically by marketing your specific service. Another way is to invest in a business as a silent partner and generate a return based on your investment in the business. 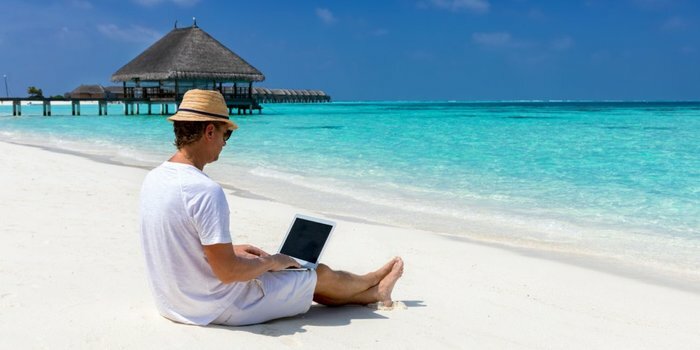 If you are thinking of achieving financial independence and not working 70 hours in a corporate job until retirement, you must start planning your passive income streams today. Time and Investment is all that is required to get started!